This paper reports development, design, and analysis of designer (or spoof) surface plasmon polariton-based feeding configuration to excite a dual-band antenna. As an example, a planar transverse electric and magnetic horn antenna is designed and fed by the proposed transition structure. 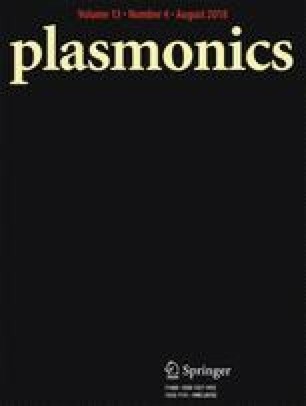 Designer surface plasmon polariton modes are supported by a metal surface at microwave frequency when it is corrugated with periodical grooves. An efficient transition for converting quasi-transverse electric and magnetic waves of microstrip line into spoof surface plasmon polariton (SSPP) waves has been designed in microwave frequency range using periodically corrugated metal strip. SSPP wave is confined at the teeth part of the corrugation. Simulated and measured reflection and transmission characteristics are in good agreement. The spoof SPP-fed dual-band antenna is designed, fabricated, and characterized in microwave anechoic chamber and measured results are coincident with simulated results.